The first meeting with the Ministry of Education, Science and Sport will be held on Tuesday, 23 April 2019 at 10 am in the premises of the Ministry. This is the first of the planned meetings with the Slovenian research funders, addressing the planned project's activity Action 4: Implementation of the National Policy for Open Research Data. 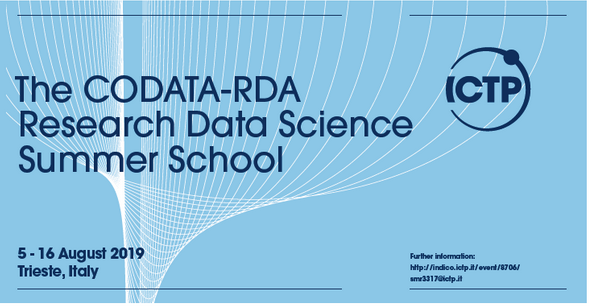 The CODATA-RDA Research Data Science Summer School will take place on 5-16 August 2019 at the International Centre for Theoretical Physics, Trieste, Italy.